Rats are common throughout the year in Dallas. Unfortunately, our homes, especially the attic, can be mighty welcoming to these unwanted critters. They often seek out quiet, dark places with access to food and water to nest and breed. Rats are no treat and they breed quickly, meaning a few rats can turn into dozens quite fast. When you catch a rat infestation in the early stages, simple DIY methods like rat traps may be enough to solve the issue. Often, though, rats stay hidden long enough that their population requires professional rodent control. Critter Control of Dallas has a team of highly trained rat removal specialists that can quickly remove the rats from your home, clean and repair any damage, and seal off entry points to keep them from returning. Rats can cause significant damage to your home and belongings. They are constantly chewing on things, particularly wires, insulation, and eaves and other wood. This chewing can lead to structural damage, electrical outages, and fire hazards. Rat urine and droppings are also very common and can spread several diseases to humans and pets. As with any animal infestation, the sooner you act, the easier it will be to rid your home or rats. 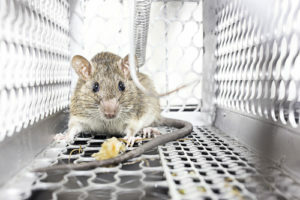 Critter Control of Dallas offers comprehensive rat removal services that you can count on. For a free estimate, give us a call today at 817-222-1101.